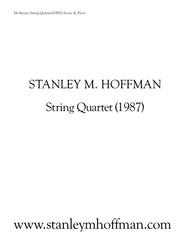 Composed by Stanley M. Hoffman. 20th Century, Modern. 1 pages. Published by stanleymhoffman.com (S0.466217). 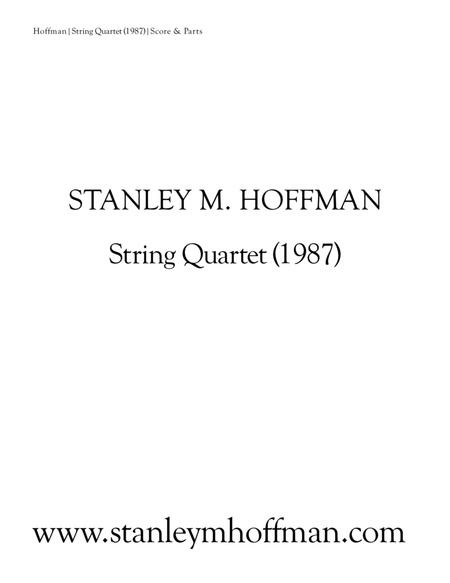 Considered by the composer to be among his very finest chamber music works to date, this piece performed by the Boston Composers String Quartet at the New England Conservatory of Music in Jordan Hall,Boston, January 29, 1989, and in Weill Recital Hall, Carnegie Hall, New York City,February 12, 1989. The music is unabashedly 12-tone, but is also very lyrical much of the time. The climax of the piece is quite is triad/trichord-based and "tonal-sounding." The biggest influence on the piece formally is Schoenberg's String Trio. Duration: 18:00.